Fender Launches American Performer Series! 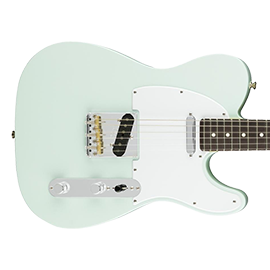 - Andertons Music Co.
Fender Launches American Performer Series! Replacing their popular American Special range, Fender’s new American Performer series encompasses an impressive lineup of affordable instruments – all made in the USA! Free UK Delivery Available on all Models! The American Performer Series is the most affordable US-made guitar range offered by Fender. Exhibiting the company’s renowned reputation for high-quality craftsmanship, these guitars and basses are available at attainable prices, giving you world-class instruments that won’t break the bank! With some of Fender’s most notorious and long-established designs available within the American Performer range, including Strats, Teles, Mustangs and Jazz Basses, just about all Fender fans will find something that suits their style and discipline. Fender hasn’t reinvented the wheel with the American Performer range though. Instead, they’ve decided to build upon the foundations of the American Special formula. By refining their models with some minor yet noteworthy upgrades, modern players will certainly admire these overhauled instruments. Featuring newly-designed Yosemite and DoubleTap pickups, smooth satin-finished necks and available in some tasteful colour options, there’s no reason why these guitars and basses can’t stand proudly alongside their more high-end counterparts. With each model coming with a Fender Deluxe Gig Bag, you can perform with these instruments night-after-night - just as their names suggest! Fender American Performer Guitars on Andertons T.V. The Fender American Performer Strats are appointed with all of the typical features that you'd expect to find. However, like we mentioned, they do sport some thoughtful new updates that really bring them up to scratch. Featuring modern "C" neck profiles, contemporary players will feel truly at home while vintage aficionados will still appreciate their substantial touch. Finished with satin polyurethane lacquer, these ultra-smooth necks won't hinder fast or technical playing at all, while jumbo frets provide more overall control. Available with either Maple or Rosewood fingerboards, you can choose whether you’d prefer a snappier or darker tone respectively. Installed with Fender’s newly-voiced Yosemite single-coils, these pickups are designed to project rich and expressive tones. With flat-staggered pole pieces that increase their outputs, these single-coils also have a shellac coating that controls feedback without choking their bright and open tones. The HSS models feature a powerful DoubleTap humbucker, making them suitable for heavier styles. 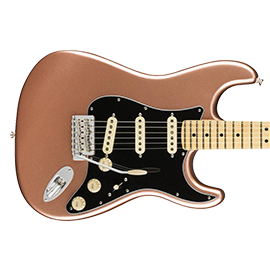 Unlocking even more versatility, these new American Performer Strats also feature push/pull tone controls. For the S/S/S models, this lets you add the neck pickup in any switch position so that you‘ll have a broader tonal palette available. Engage the push/pull on the HSS Strats, and you’ll attain a single-coil sound from the humbucker without experiencing any volume drop. It doesn’t end there either, as these instruments have been fitted with Fender’s acclaimed 'Greasebucket' tone circuit too. Letting you roll off the top-end without adding any bass frequencies, you can use your tone controls in a far more musical manner - not turning your guitar tone to mush! Satin finishes are becoming a modern standard in guitar production, and the American Performer Telecaster necks follow this popular trend with their super-slippery feel. Enhancing playability, these models also come with comfortable modern “C” neck carves and jumbo frets as standard. Fitted with Fender’s fresh Yosemite single-coils, full and balanced tones are to be expected with minimal noise or feedback. The S/H Telecasters also feature the new DoubleTap humbucker in the neck position, meaning that you can attain thick-sounding lead tones while still having the flexibility to switch to their bridge single-coils for that classic Tele twang. Installed with the ‘Greasebucket’ tone circuit too, you can tame the treble frequencies without introducing any bass, ensuring that your tone stays defined and free of any muddiness. The Jazzmaster is a classic Fender design, and we’re thrilled that this distinctive model is a part of Fender’s American Performer range. 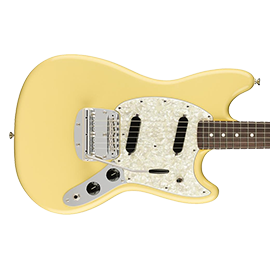 The improvements that we previously mentioned have been applied to the Jazzmasters too, to suit contemporary players looking for a solid live workhorse. Featuring vibrant-sounding Maple necks, these will appeal to any guitarist keen to cut through in a mix, while their silky-smooth satin finishes enhance playability. Cut to the asymmetrical modern “C” profile, this offers a more comfortable resting position for your thumb when playing chords or leads, lessening the likelihood of strain or fatigue when playing a long set. 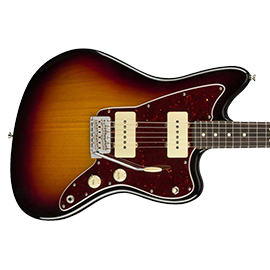 The Jazzmaster is synonymous with soapbar pickups, and the new Yosemite versions in the American Performer models offer a livelier sound, with greater response to your playing dynamics. Also fitted with the ‘Greasebucket’ tone circuit, you can roll off the highs without getting loads of muffled low-end added, keeping your tone nice and articulate. Oh, they've got Strat-style tremolos by the way! The Mustang is another stylish offset within the American Performer lineup. With the likes of Kurt Cobain and other alternative rock stars popularising the model in the early ‘90s, many current players still adore its unique aesthetics and chimey tones. With the large ‘70s-style headstock on full display, these retro guitars have still been upgraded to meet the demands of today’s performance-minded guitarists. Just like the rest of the American Performer catalogue, the Mustangs come fitted with modern “C”-shaped Maple necks that offer a cosy feel and a snappy sound. The new Fender Yosemite single-coils also feature in these instruments, delivering balanced tones with plenty of output. Paired with the ‘Greasebucket’ circuit, you’ll still be able to get the most of these pickups when lowering the tone control, retaining the clarity of your signal with the highs rolled off naturally. In-keeping with their electric guitar counterparts from a physical perspective, the Fender American Performer Mustang basses dish out punchy Fender tones, especially thanks to their updates. Retaining that authentic vintage look, particularly with their split-coil pickups and pearloid pickguards, these basses perfectly blend old-school charm with modern functionality! Boasting modern “C” neck profiles and jumbo frets, these instruments have a super-comfy feel that will be adored by contemporary and traditional bassists alike. Fitted with Fender’s new Yosemite pickups, the J-style bridge single-coils will project thick yet raspy tones, while the middle split-coils have plenty of warmth and mid-range cut. 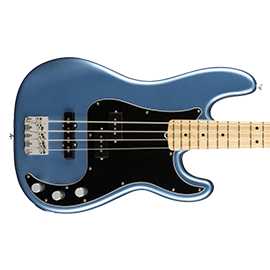 The Precision Bass has always been the 4-string equivalent of the Strat, in terms of fame and setting the standard since the ‘50s. The American Performer P-Basses encompass all of the classic features that we love about this iconic instrument, but they of course boast some extra refinements that really make the difference. Uniformity across the American Performer range is evident, as the Precision basses also sport modern “C” Maple necks fitted with large jumbo frets. Offering a great feel and letting you have excellent control all over the fingerboard, these basses also have their truss-rod adjustments thoughtfully placed at the bottom of their necks - for easier access when making tweaks to your setup. Their P/J pickup configurations are also worthy of note, giving you more versatility and tonal possibilities. Featuring the newly-voiced Yosemite pickups, these growl beautifully with their increased outputs, while their flat-staggered pole pieces ensure greater balance across the strings. Sporting the ‘Greasebucket’ tone circuit too, take out some top-end for a smoother tone, without adding any overbearing lows. We doubt anyone can say “wow, I’ve never seen that before” when it comes to the Jazz Bass, as this design has been established ever since the ‘60s. 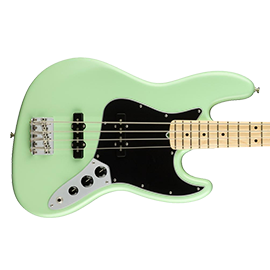 However, in true Fender style, the company continues to modernise its instrument ranges so that contemporary players are not left out in the cold. The American Performer Jazz Basses are no exception to this, carrying that legendary look but boasting some minor refinements to improve performance. This includes the popular modern “C” neck profile, a wonderfully comfy-feeling carve that will prevent excessive strain when resting your thumb. Also known for its thinner shape, these necks guarantee exceptional playability. Their Yosemite single-coil pickups offer that signature Jazz Bass tone, but are wired to project more output and grit. Installed with Fender’s ‘Greasebucket’ tone circuit, you can roll off some brittle treble without introducing any muffled low-end, keeping your sound focused and defined.